We don't know much about Wayne Lerch, except that he wears a leather jacket, sports a slick mustache and rides a motorcycle. And that he has a heart of gold. When Lerch's 11-year-old pit bull died a few months ago, he was heartbroken. But, he's recently found his next calling. 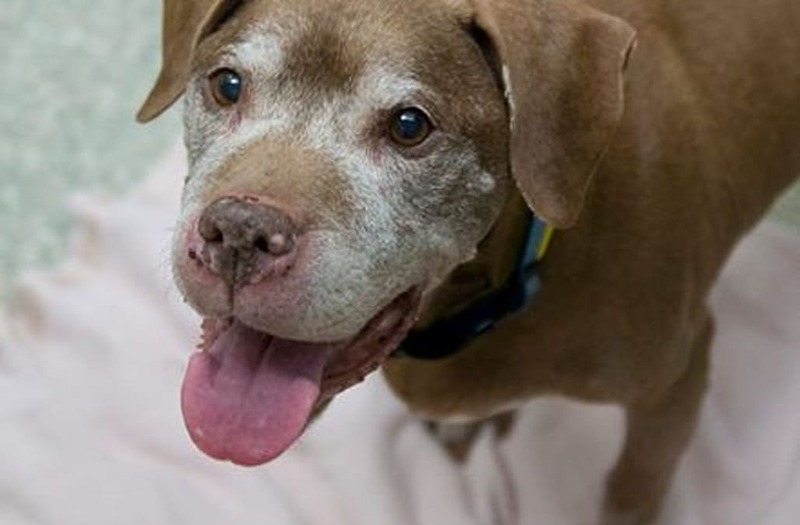 The Humane Rescue Alliance, a Washington D.C. rescue, was desperately trying to find a home for an elderly pup. The 18-year-old pooch, Julep, was brought into the local shelter when her owner died. The family couldn't take care of her, so she was put up for adoption. "She came to us last week after her loving owner passed away and she's looking for a fresh start. She doesn't need much, just a couch to sleep on and a human to love. Do you have room in your home and your heart for Julep?" the shelter wrote. Lerch was so moved by Julep's story that a day later, he waited outside before the shelter even opened its doors. "I couldn't let her spend one more night in the shelter," he said, according to Today. "She's saving me as much as I'm helping her".